Proper maintenance by a qualified technician is one of the most important steps you can take to prevent future problems. Contractors get busy during summer and winter months, so it is best to check the cooling system in spring and the heating system in the fall. Let Air Quest keep you on schedule! Sign up for a bi-annual Preventative Maintenance Service Agreement today! R-410A is the common name for hydro-fluorocarbon (HFC) that's used as a refrigerant (freon) in the HVAC industry. R-22 is the common name for hydro-chlorofluorocarbon (HCFC) and, as of January 1, 2010, HVAC manufacturers ceased production of products that used R-22. R-410A is more environmentally friendly than R-22 which had been used as a refrigerant for over 40 years until studies showed that it contained an ozone-depleting agent. Energy Star is a program that was created by the U.S. Environmental Protection Agency (EPA) to help businesses and individuals make energy efficient purchases. This program places the ENERGY STAR label, a small blue and white logo, on items that meet superior energy efficiency standards. This label provides an easy way for consumers to identify quality, high-efficiency products. Air Quest Heating & Cooling, Corp. can guide you in finding an energy efficient solution for your home or business. If you are considering updating your system with new, ENERGY STAR rated equipment, call 520-623-1400 for a free estimate. Your refrigerant could be low or leaking. Call a trained technician to repair and recharge the system. There are two types of refrigerant (also know as freon), R-22 and R-410A. If your system was manufactured before January 1, 2010 it may use R-22. If it was manufactured after January 1, 2010, your system will use R-410A refrigerant. 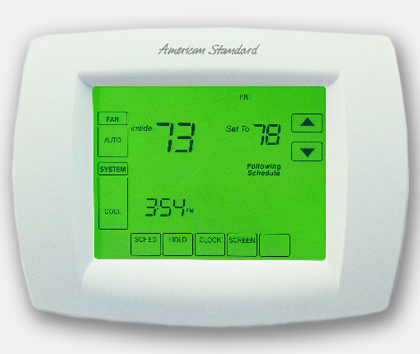 Check your thermostat to make sure it is set properly and it is reading the correct temperature. And if your programmable thermostat runs on batteries, don't forget to change them each year. Some units will indicate when batteries need to be changed. Check your unit's drain to make sure it isn't clogged. If plugged, the drain can cause water damage in the house, affect indoor humidity levels, and breed bacteria and mold. When our technicians service your a/c or heat pump, the condensate drain is checked and cleared, if necessary, in order to avoid any of these potential problems. A clogged filter restricts airflow through the unit, decreasing its efficiency and reducing its ability to effectively cool the air. Check your filter once a month and change it at least every three months. Quick tip! Before you install a new filter, write the date of installation on the side. How do you choose the right one for you? 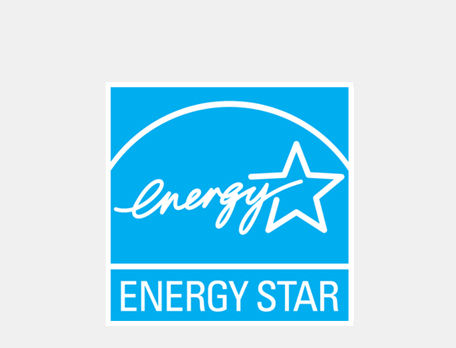 Check out this guide from Energy Star! Dry air can take a toll on your health and your physical comfort. It can also act like a giant sponge, soaking up moisture from everything that it touches in your home - your woodwork, wood floors and furnishings. • Eco-friendly - use 70% less water than traditional whole-house humidifiers. • Require minimal maintenance - no need to keep filling a water tank! • Efficient - get moisture when you need it most, without having to run your heating and cooling system. Living in the desert, we breathe in dust and allergens everyday. But what if you could filter the air you breathe inside your home or business? Find an indoor air quality solution that fits your needs with the help of our experts. Air Filtrations Systems: These high-efficiency systems can filter out allergens such as dust, bacteria, viruses, pollen, tobacco smoke, pet dander and cooking smoke and grease. UV Air Purification Systems: Utilize UV light to reduce airborne bacteria and contaminants while reducing odor. For more duct sealing tips, visit www.energystar.gov. Other simple fixes include installing weather stripping on doors and caulking around windows, while bigger jobs might include sealing leaks and adding insulation in your attic. © AIR QUEST HEATING & COOLING, CORP. All rights reserved.